For the longest time, Nitish Kumar has been associated with moving slowly. But this time, he ditched the snail's pace for a hare's, and won the trust vote with the BJP's help in the Bihar Assembly, just a couple of days after putting an end to his 'grand' alliance with arch-rival Lalu Prasad's RJD and the Congress. Despite all his political achievements, Nitish has never really been able to come out of the background. And that's been a lifelong struggle for him – the struggle to be the No.1 man. Nitish is a principled man. He imbibed some of these principles from his father, some from Ram Manohar Lohia, and some from former Prime Minister Chandra Shekhar. He developed his political wiles thanks to many people, most of all his 'elder brother' Lalu Prasad. He learnt political survival from George Fernandes and Sharad Yadav. Nitish hails from the banks of the Ganga, and learnt from the mother river how to go with the flow. But there's one thing that set him apart from other 'secular' people – he never believed in the 'appeasement' of Muslims. Till he started doing that too, when, to combat Lalu's Muslim-Yadav formula, he created the 'most backward classes' grouping. For this, he took inspiration from Karpoori Thakur. When Nitish entered the theatre of national politics in Delhi, he learnt how to create a public image. In this, perhaps, he got help from Arun Jaitley. It's true that Nitish is not spotless – he doesn't 'sell' government files; but he believes in doing things that can keep the wheels turning for his party. But from the very beginning of his political career – as a student leader – Nitish's problem has been his quest, and his inability, to be the de jure No.1 man in the political landscape. When Lalu and Sushil Modi were gaining fame fighting the Patna University student body elections, Nitish was the president of the Patna Engineering College students' union. Then, thanks to his principles, he lost the 1977 and 1980 Assembly polls, before finally winning in 1985 on a Lok Dal ticket. Party chief Devi Lal made him the president of the youth wing of the Bihar Lok Dal, and since then, Nitish has aspired to be the main man. But it was not to be. He got to the Lok Sabha in 1989, and a year later, became a Minister of State under Prime Minister VP Singh. But it was Deputy PM Devi Lal who took away all the attention. That's when Nitish learnt that officials are 'educated' but rather unlettered, and took to reading files, to understand rules and regulations, and by extension, learning how to bend and break them. In George's Samta Party, he was almost the No.1 man in terms of Bihar affairs, but George showed him the benefits of monopolisation. Later, with Sharad Yadav's help, he became a monopoliser in his own right. Nitish knew that he could never become as tall a leader as Lalu on the basis of his caste – so he spoke of jamaat (congregation), not jaat (caste). He believed that the NDA's defeat in the 2004 Lok Sabha elections was down to the carnage in Gujarat a couple of years before. Then, in November 2005, Nitish became Chief Minister of Bihar. The BJP was his partner, but Nitish was the man in charge. Since he came into power, he stopped allowed Modi and other anti-Muslim leaders from visiting the state for election rallies. Then, the BJP thought of an experiment – at its working committee meeting in Patna, a photo of Nitish and Modi shaking hands was published. Nitish protested – but he thought that Modi was simply the Chief Minister of a rich state; he never thought that the BJP could take a leader from the backward classes and make him its national leader. He also suffered from the LK Advani syndrome of underestimating Modi, and when the latter didn't let Advani launch his rath yatra from Somnath, Nitish arranged for it to begin from Jayaprakash Narayan's village Sitabdiara in Bihar. Now, Nitish and the BJP were at loggerheads. This came to a head at the 2013 Lok Sabha by-poll for the Maharajganj seat. 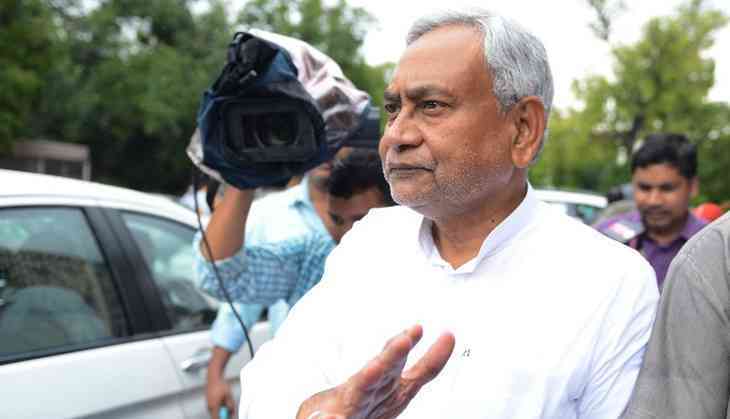 There, Nitish had fielded a candidate against his arch-rival Lalu's party, but owing to the lack of support from the BJP, the JD(U) candidate lost. But it was in Maharajganj that Nitish realised something important – that the JD(U) does not have a great grassroots structure, but owing to his own popularity, the candidate received a respectable number of votes, even in defeat. Thus, he ended his alliance with the BJP, which dated back to 1996. From there to the Lok Sabha elections in 2014, Bihar's No.1 kept running his government by using various political tricks. But his popularity made him complacent, and he kept underestimating Modi. In the 2014 polls, Nitish lost badly, in the absence of any allies. Then, in order to create a saintly image, he handed the reins of government over to Jitan Ram Manjhi. Now, he wasn't even No.1 in his state. A year later, for the Assembly polls, he returned, displacing Manjhi, and asked Lalu for help. And thus, he became No.1 again. Narendra Modi's politics of image projection didn't work in front of the RJD-JD(U)-Congress Grand Alliance in Bihar in 2015. The 'Mahagathbandhan' came to power in the state Assembly. But then Nitish brought out his true colours – from the liquor ban to everything else, Nitish wanted to do what he pleased. The Congress brass of Sonia and Rahul Gandhi also didn't help matters for the Grand Alliance – they hardly ever spoke to the No.1, whereas the BJP's No.1 started giving that respect to Nitish. And thus began an old game. While Lalu remained stuck in the morasses of scams, Sushil Modi, with a little help from the Corporate Affairs Ministry, became an anti-corruption crusader. This time, he trained his guns on the entire Lalu family, most specifically, on his Deputy CM son Tejashwi Yadav. Nitish couldn't sack Tejashwi. But when he was assured of support and dignity from the BJP, Nitish suddenly transformed into a hare and scampered to victory. Now, once again, Nitish is the No.1. But this time, he has a direct line to the country's No.1 leader.